HBO Asia’s first returnable series, Halfworlds, is back on air for its second season. 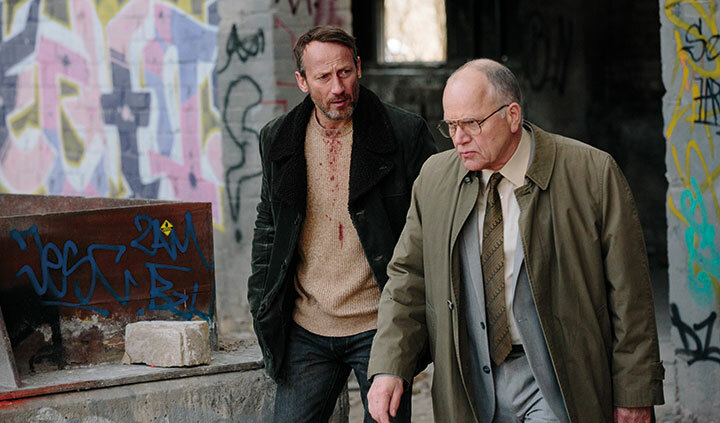 The network’s director of production, Garon De Silver, tells DQ about bringing this dark action fantasy drama to viewers in more than 20 countries. While the populations of Asia may be separated by many different languages, cultures and customs there is one thing that unites them: a belief in the supernatural. So it was this subject that proved to be a natural starting point for pay TV network HBO Asia’s first returnable series, Halfworlds. 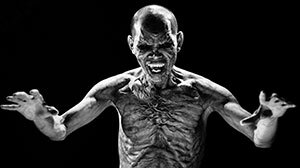 The dark action fantasy drama, which first aired in November 2015, revealed a parallel world of bloodthirsty creatures from Indonesian mythology known as Demit, who have lived amongst humans for centuries. 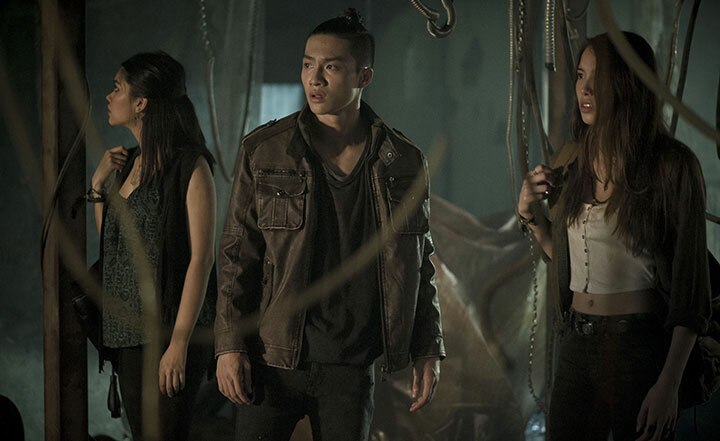 Now back for a second season, which debuted on January 22, the action moves from the alleys of Jakarta to the neon-lit streets of Bangkok, Thailand. The story focuses on a tenacious researcher named Juliet (Tia Tavee), who is trying to uncover the secret world of demons. Armed with research by her late father, she goes on a quest for answers. While searching for an ancient artefact of great power, her actions draw the attention of the local Thai demons known as Peesaj. It is not long before her pursuit leads her into the line of fire of the Peesaj leader Charlie (David Asavanond), the mortal peacekeeper Warin (Nicole Theriault) and a Peesaj named Fyter (Peem Jaiyen), who is sent to kill her. Directed by renowned Thai filmmaker Ekachai Uekrongtham (Beautiful Boxer, Skin Trade), the eight-part season features a cast of leading actors from Thailand, Indonesia, the Philippines and Taiwan. Garon De Silver, HBO Asia’s director of production, tells DQ about the origins of the show, how it draws on Asian mythology and the challenges of creating a series that appeals in countries including China, India, Malaysia, South Korea and the Philippines. We felt there was a demand for content in the realm of a fantasy thriller and delved into Asian folklore. We discovered that despite different culture and languages in Asia, they shared common beliefs in supernatural creatures. Asians believed in the same monsters – they just had different names for them. For example, the Krasue in Thailand was an avenging female spirit represented by a woman’s head floating about with her entrails hanging out. Indonesians believed in the same creature but they called it Palasik. These creatures may appear outlandish but are very much alive in people’s imagination across Asia. So we started to imagine these creatures being real, existing beside us and looking like us, and how they would exist in mainstream society. 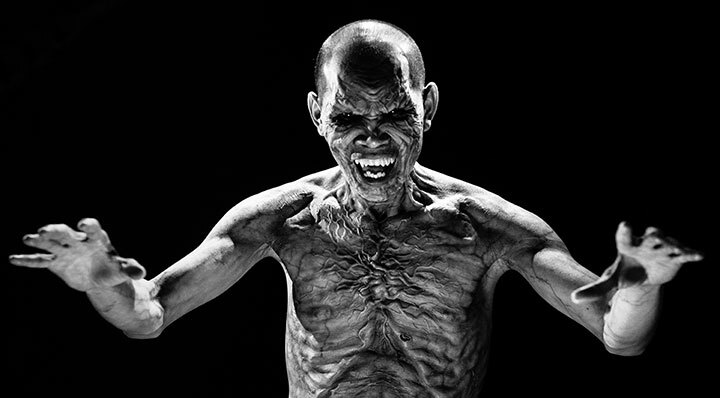 In Indonesia, supernatural beings are called Demit, but in Thailand, they are known as Peesaj. All across Asia they are known by different names. How was the story developed for HBO Asia? Halfworlds was created and developed in-house by the HBO Asia Originals team. We then brought in Collin Chang, an LA-based writer to help flesh out the world. When we did season one, we invited renowned Indonesian director Joko Anwar to help us co-write, direct and inject a sense of authenticity and texture into the story. For season two, we brought in acclaimed Thai director Ekachai Uekrongtham to help us add local nuances and grit to the narrative. How does the show draw on Asian mythology? Is it very faithful? Asian mythology is one of the pillars of the show – but we have taken creative license towards how we interweave the actual mythology into the narrative. We could not portray these creatures literally. We humanised these creatures from Asian mythology and added elements of their characteristics in their costumes, fighting styles or weapons. For example, Fyter is a Seua-Saming or Tiger Spirit. In Thai folklore, that creature is born when a hunter kills a tiger and its spirit possesses him, turning him into a monster. Fyter’s fighting style and stance is meant to embody that ferocious tiger spirit. Even his wardrobe was modernist hunter chic. For Tony, who is a Genderuwo, a mythical Indonesian were-beast, his costume design was meant to illustrate the creature’s predominant trait by substituting its outlandish fur for a fleece jacket. How did you decide to blend the different genres of horror, fantasy and thriller in a television drama? Halfworlds not only includes genres of horror, fantasy and thriller, there is also action and romance, set to a pulsating soundtrack – a genre orchestra blending in symphony to entertain and engage audiences. But everything had to have an organic reason for being. Is it difficult to create a show that appeals across Asia? There are challenges as there are many countries and cultures and languages that have to be reached with one story. We asked ourselves, how do we make it authentic and universal at the same time? Conceptually, Halfworlds seeks to find common ground within Asia by drawing upon the rich tapestry of its folklore, which permeates throughout the region. Ultimately, people love content that is intriguing, drawing them into worlds never before seen. In this way, Halfworlds provides the perfect vehicle to bring Asian stories together for a global audience. How would you describe the writing process? How do the writers and directors work together? We first created a detailed brief and an overarching mythology, which we then shared with the writer who would send us drafts. 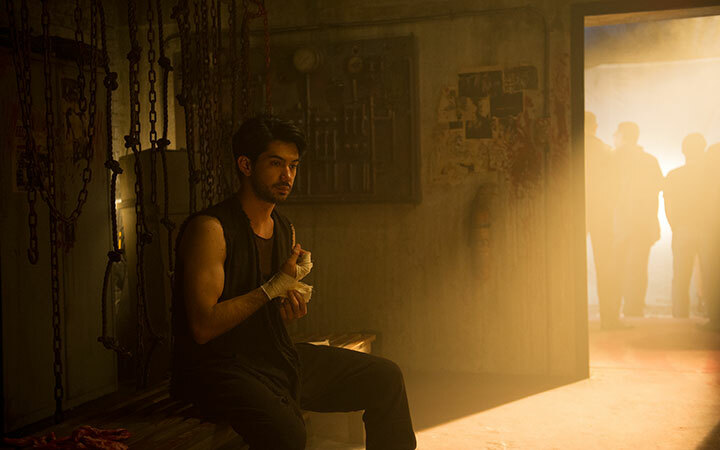 Then in a collaborative process between the directors, writer and HBO Asia, the stories were given an Asian feel and authenticity and kept in line with the mythology of the Halfworlds universe. Who are the lead cast members and what do they bring to the series? We have a fantastic ensemble cast of top talents from Thailand, Indonesia, the Philippines and Taiwan. Returning from season one are Indonesian actors Reza Rahadian, who plays fan favourite Tony, and Arifin Putra, who plays Barata. 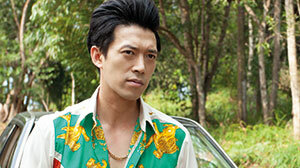 Reza has created one of the most interesting characters on television. As an actor, Reza takes a script and adds so many layers to it, he takes the character to a place we could never have imagined, while Arifin plays Barata as a dark, tragic hero but adds a warmth to his performance, which makes him as engaging as he is enigmatic. The rest of the cast are new to season two. Taiwanese actor Teresa Daley’s character speaks in Mandarin throughout the English series, pointing to her character’s past. Filipino actor Jake Macapagal also plays a character from the Philippines. The series also boasts talented Thai actors, some making their acting debut, others veterans in the industry, and some accomplished singers or fighters. They including Peem Jaiyen, Tia Tavee, Emma Grant, Myra Molloy, Nicole Theriault, Jeeja Yanin, David Asavanond and Charlie Ruedopokanon. All the cast are well-known locally and have strong social media presence, which helps to promote the series further. How do the locations of Jakarta (season one) and Bangkok (season two) lend themselves to the story’s tone and atmosphere? In Jakarta, the Demit were unrestrained, loose canons who struggled with the idea that they had to be subservient to mortals. It was a very dark, gritty environment, which exemplified them wanting to break out of that world. In Bangkok, the Peesaj are trying their best to stay in the shadows – as they live within the confines of Soi P, their sanctuary. They are more disciplined as they try their best to stay off the radar. In both seasons, Jakarta and Bangkok are not just incidental locations. They are the tapestry upon which the stories are told. What are the biggest challenges on the show? Doing television on a cinematic level in Asia can be challenging. We had an extremely tight shooting schedule with plenty of action set-pieces as well. 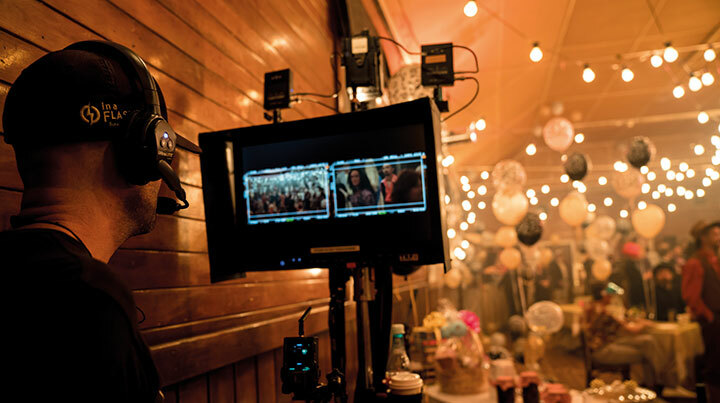 Most of Halfworlds takes place at night, which means most of the series was shot at night. As there are a lot of visual effects in the series, the post-production process also took some time. But it was worth it as we strive to create a hybrid of cinema and television about Asian mythology and the underworld that has not been seen in this light across Asia or other parts of the world. This is only possible due to the very talented and generous cast and crew. What do you want viewers to take away from the show? Be entertained by something they have never experienced before, and be transported into a world filled with darkness and light, and pray they never find out if these creatures really do exist.